Ceramic artist Maren Kloppmann reveals the complexities of minimalism in her porcelain designs. We take a tour with Maren and her husband, 89.3 The Current DJ Mark Wheat, at the Circa Gallery and studio in Minneapolis. Maren demonstrates the meditative power of the treadle wheel she uses to create work that is beyond the boundaries of traditional pottery. [caption id="attachment_608" align="alignright" width="195"] Click above to see more ceramics from Maren Kloppmann[/caption] Artist Bio: Born and raised in Germany, Kloppmann came to the United States 25 years ago to work on a Master of Fine Arts degree at the University of Minnesota. 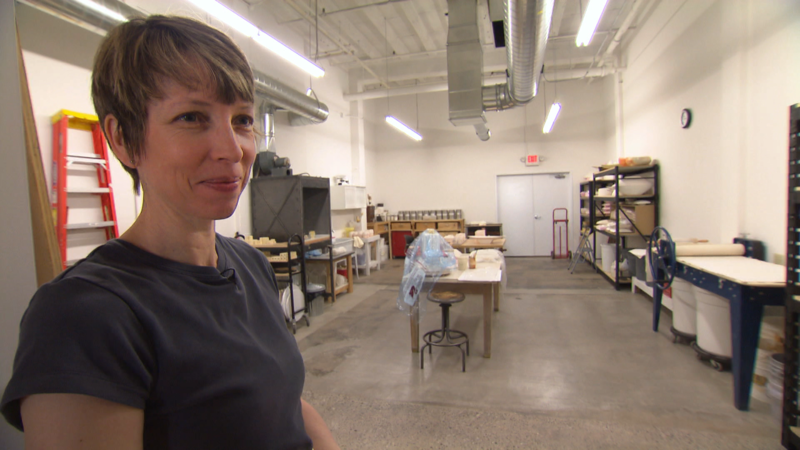 Modernism and minimalism have long influenced her distinctive style, leading to a career in functional pottery, namely tableware that she sells out of her studio and through galleries. 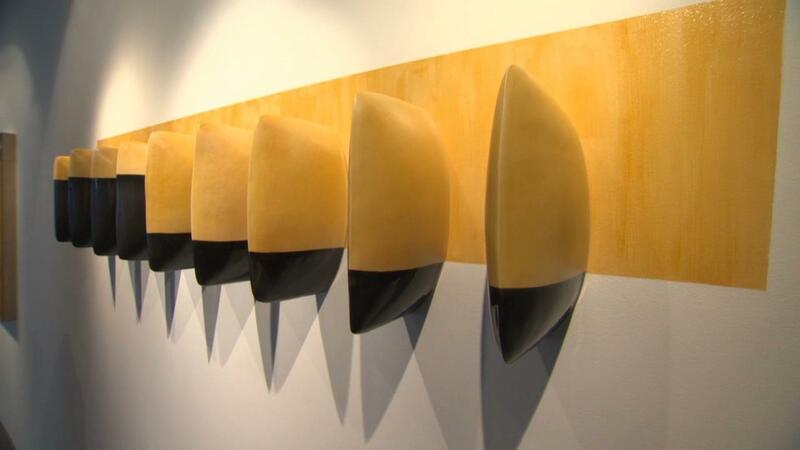 She has earned numerous awards including three McKnight Fellowships for Ceramic Artists in 2002, 2005, and 2009. Ceramic artist Maren Kloppmann reveals the complexity of her porcelain designs.